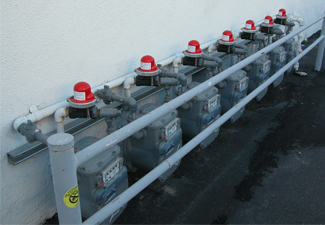 Gas Control Technologies Inc. is an industry leader in the installation of automatic earthquake shut-off valves in the Southern California area protecting both lives and property in the event of an earthquake. We draw on our knowledge of over 35 years of experience with The Southern California Gas Company providing the utmost of quality along with competitive pricing. Our services have been provided to hundreds of Southern California real estate offices over the past ten years delivering prompt, hassle free courteous service that can be billed directly through escrow when required. 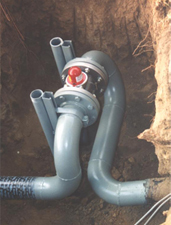 Seismic activated valves are designed to automatically shut off the flow of natural gas to your home or facility should an earthquake of significant magnitude occur. Gas Control Technologies only installs earthquake shut-off valves that are approved by the California Office of State Architecture Board, the American Gas Association and the City of Los Angeles? Department of Building and Safety. 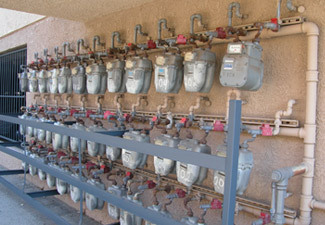 Technology has improved the effectiveness of these earthquake valves with bracing codes and regulations currently in place. Resetting the valve can be easily performed should the earthquake valve be activated. We install any size automatic earthquake shut-off valve with our expertise and specialized training in large non core user applications, manufacturing facilities and commercial and industrial applications. For these complex installations Gas Control Technologies will assist in the shutdown, planning/timeframe and will purge, gas handle and verify a safe work place environment before welding occurs if required. Gas Control Technologies is the choice of large insurance companies to safely and accurately install complex earthquake valves at their customer�s facilities.